Thanks to our extremely loyal customers we’re delighted to say that we’ve enjoyed some fantastic feedback over the years. And the food critics love to dine with us, too – you can read some of our reviews and customer comments here. 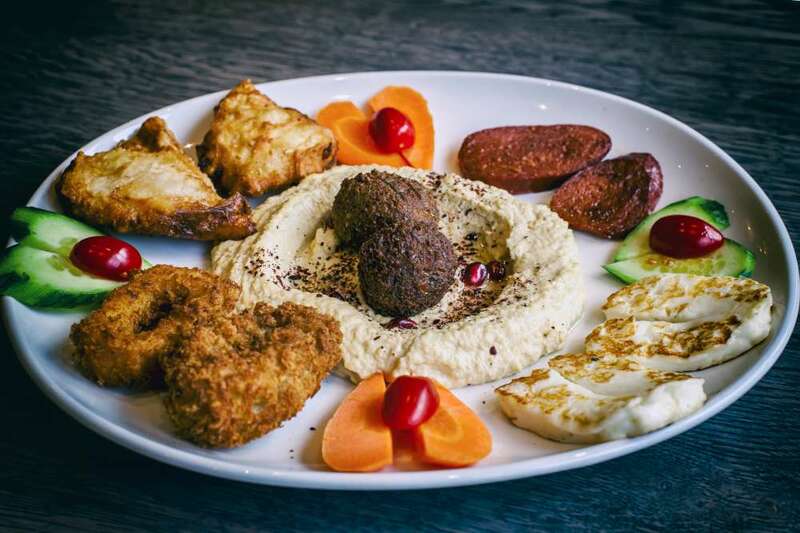 Absolutely love the delicious Turkish food here, always go for the platter for two which honestly enough to serve 3-4, so always go home with leftovers. The place can get very, very busy on evenings and especially weekends so would recommend booking a table. Now this place is absolutely the place to be ... it’s so on point for the food also for the location. The restaurant itself is clean and very modern, the staff are very friendly. You can also get to see the owner floating about inside speaking to the customers which is also a good thing. You can bring your whole family or just a mate top quality food and you won’t be thinking it’s expensive... that’s because it not . This spot is 10 out of 10! Love this restaurant- always leave stuffed with delicious food. Love the free bread and salad to start and the platters are amazing. The staff are friendly and attentive as always and always spoil my 1 year old daughter. And we always take our leftovers home for later. Totally recommend this place for any occasion!! Went here with a friend, and it was simply wow. Really attentive staff. It was so busy yet our waitress really looked after us. The best UK Turkish food I have ever had. Thank you! I will be back with the Mr.
Have been a couple of times and the restaurant is great and buzzing (on a Sunday lunchtime) and advisable to book. Portions are great and value for money is excellent. Will definitely be back. Turkish restaurant on the A406. Turkish restaurant, child friendly, clientele is very diverse, all ages and ethnic family groups were there together with all ladies and all men groups. Booking is essential otherwise you can queue especially Friday and Saturday nights. Very reasonably priced for huge plate full for 4 we spent £80. Staff friendly and helpful. I ambled into this restaurant and wasn't disappointed. The staff were very attentive despite being super busy, the food was prepared to a high standard and delivered quickly under the circumstances. A light fresh and airy venue, highly cosmopolitan and highly recommended. Really enjoyed my second visit to this place. The food was absolutely gorgeous again. First they brought us some warm Turkish bread and Tzatziki- really yummy. Then some salad - again really nice and not boring like most places do. We had chicken doner, the portion was pretty huge so had to take some home. The service was good and the atmosphere was great too . Restaurant is massive and was so, so busy before dinner time- not surprised as food is amazing. My only negative comment would be - they do not allow you to swap rice with chips -which I don’t really understand why. Sep16 I visited this restaurant 2 time's both time restaurant was really busy food was yummy, we all love it, staff are friendly. I will visit again hopefully. Finally ate here yesterday evening with my friend after driving past a few times and thinking to myself that I want to go in and try it out. It was rather busy for 9pm and had a really good vibe. We were greeted by a waiter who sat us at a table outside and I ordered the chicken shish. The chicken was very nice come with rice and big side of salad. Very impressed with the food. I will be eating here again! Visited for the second time at the weekend for our wedding anniversary,. Food is generously portioned and service is quick, it is always busy which shows how fab the food is. Highly recommended. We’re taking back the children next time as it seems very family friendly. 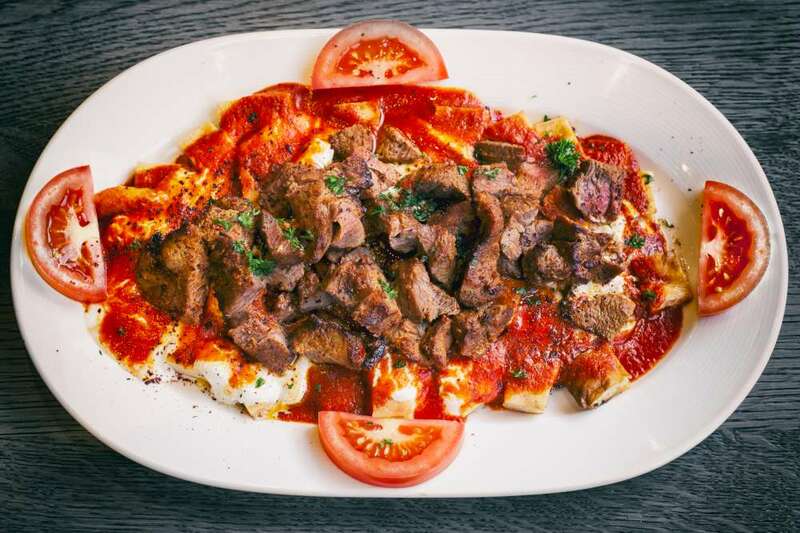 One of the best Turkish restaurants I have visited in London! 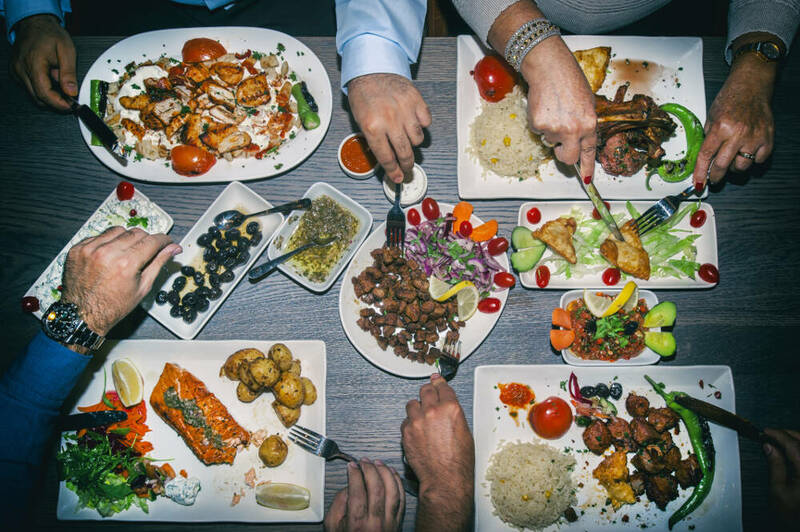 There is enough for everybody to feel full at the end of the meal, the chicken and lamb dishes are super-tasty and so are the salads and typical Turkish starters. The red wine I tried is both very conveniently priced and very nice and smooth, so I recommend you the 2014 Yakut at less than 18 pounds per bottle, a real bargain! Service is very good and the restaurant is large, clean and child-friendly, with ample parking facilities, very close to the North Circular Road, the famous A406! Just come back from a meal with my husband, son and his girlfriend. Was lucky to find this place earlier this week and had a meal here with another son and his daughter. We were taking my granddaughter to the dinosaur golf in the same complex and found this place. We are used to Turkey (see other reviews) so had high expectations., We were not disappointed!. We had a jumbo platter (basically load of meat - shish kabab's, ribs, chicken wings, rice etc.) 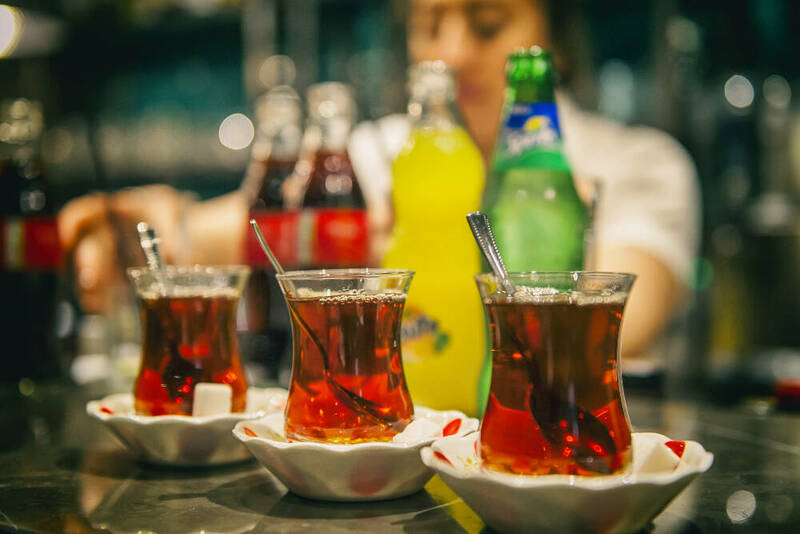 for 4/5 people, followed by ice creams (my son had baklava), a few drinks and Turkish tea. At £78 all in this represented good value. The meal came with complimentary Turkish bread and salad. The meal was good with all the meat being grilled and presented on rice, Although the place was really busy, we were seated where we wanted - outside, within 5 minutes. Service was good and efficient. A good sign was that a significant number of the patrons appeared to be of Turkish origin. Really good place to eat, we will definitely be back again. Great Turkish place to eat in. Food was great and service was good too. Nice friendly atmosphere. Didn't have to wait too long for it either. Finally, a Turkish restaurant that feels clean and modern. Staff were attentive and food delicious. There's ample parking onsite too. We had a mixed platter and iskender kebab- both of these were lovely and fresh. Ok guys, I am going to try to be as balanced and honest as possible. After visiting Gokyuzu Green Lanes, Gokyuzu became my favourite Turkish restaurant in London. I didn't have such quality grills in any Turkish place before. 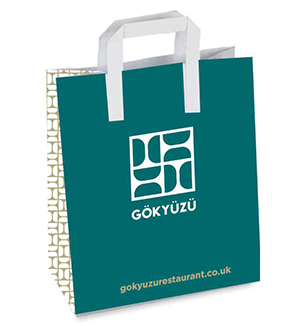 However after visiting Gokyuzu Chingford, I did feel that the staff is a bit inexperienced, and food is similar but not same as the Gokyuzu Green Lanes. That night, we just felt that the food was just average if not the best. I will still give it 5* as I collected full platter takeaway yesterday for £30, and guys, so much food was there in the bag. A whole bread, free yogurt meze, 1 grill platter, 1 box salad and free sweet dish. Felt really happy after seeing that much. Food tasted pretty nice too. All that being said, I don't know how the eat-in restaurant is operating currently. If it’s still the same as when I visited before, they should make improvements. And for that, just follow the example of Gokyuzu Greenlanes. Service excellent and excellent setting. By far my best restaurant! The outside seems like your transformed into a different tropical country with the palm trees etc. Waiters very helpful and food is outstanding! Visit this place at least once a week and will continue to visit! Would highly recommend people to visit. Shocked this don’t have 5* from all visitors. I guess they are haters or something. Also there is mini gold and an adventure course. Prices are slightly high that’s the only cons about this place. Not too high but slightly. We love the food. Period. Don't think I need to say anything more but anyway this place is huge. Even at the busiest of time they would seat you straight away. The complementary soft and warm bread with the tzatziki is heavenly. We ordered some extra houmous to go with it and then the fabulous family platter! 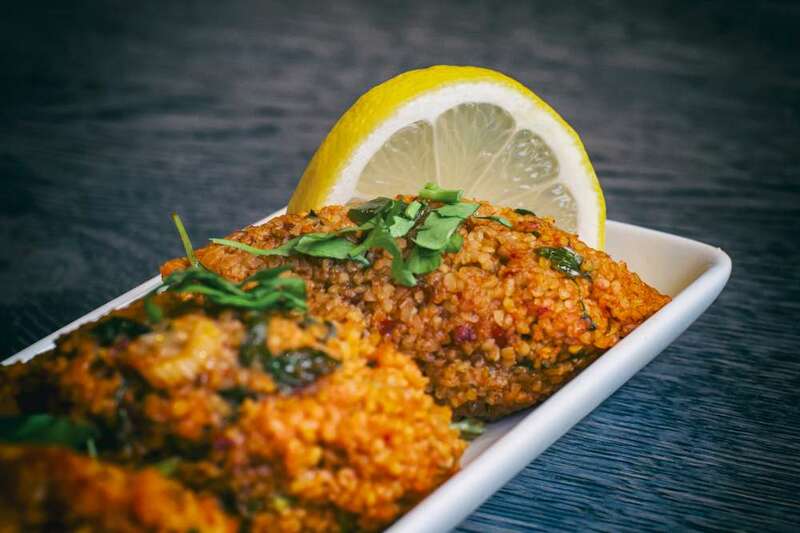 Super succulent and delicious grills with a fantastic rice and durum wheat pilau base. Simply awesome. We ate here last weekend and even though it was very busy we were seated and served very quickly. Very generous and free starters of salad a yogurt/bread came quickly after. The main courses themselves were fabulous. 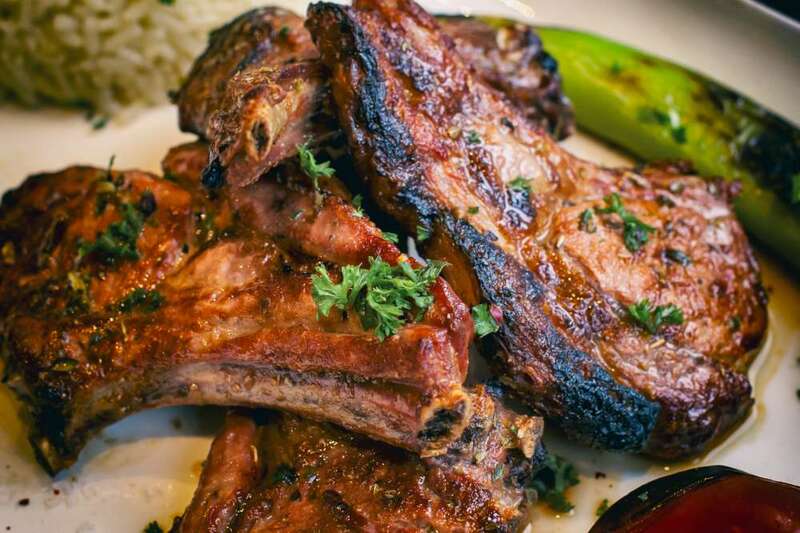 Generous portions and great quality, tasty meat. All for a good price. It is in a slightly odd location but you sort of forget about that once inside as it's done out so well. Really can't fault this place and will def be back! This restaurant is amazing - to put it in 4 words! If you enjoy Turkish food this is without doubt a must try in my opinion. 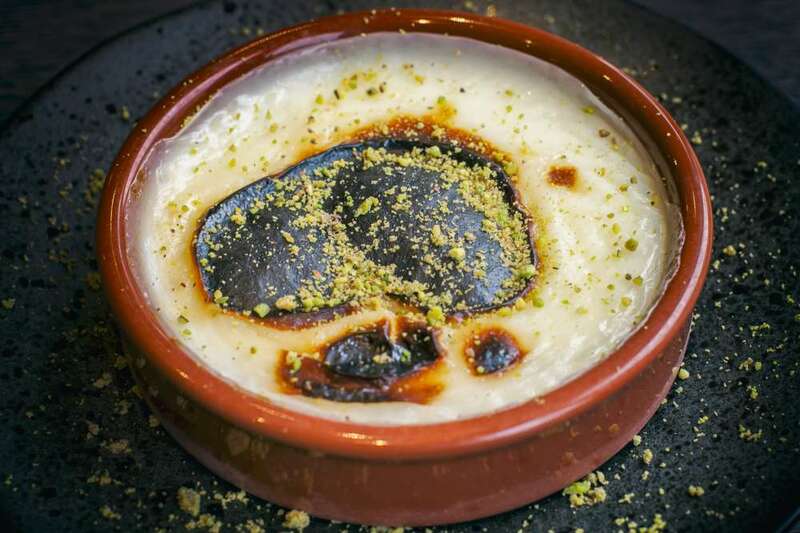 Having been to Gokyuzu on numerous occasions from groups ranging to almost 30 people to smaller family meals it is difficult to fault anything. Each time round the service and food has been outstanding. The restaurant is well presented with loads of seating room. I would recommend booking during the peak meal times as they really do get extremely busy! The service is excellent with waiters always checking up on you. 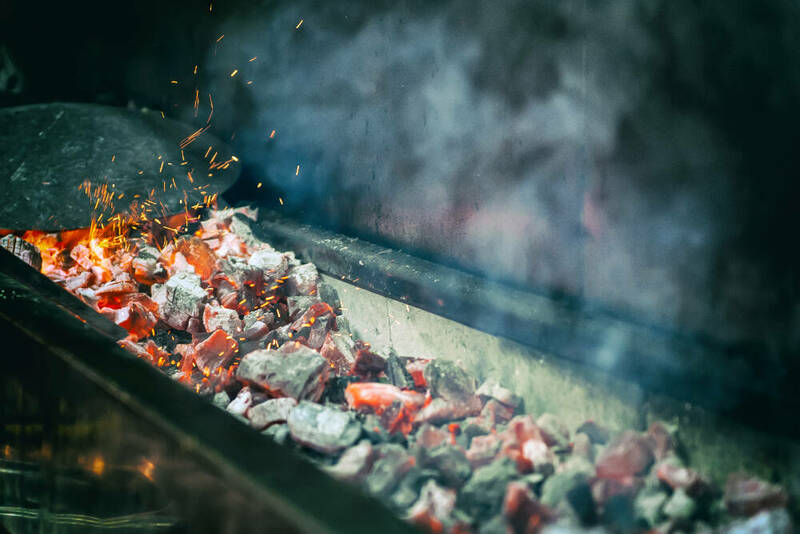 The food is definitely the highlight of this restaurant with the meats marinated and cooked to perfection - you will without doubt see a huge mixed grill on every table. Have tried a number of starters as well which have always been fresh! Without doubt a recommended restaurant to go to! Hopefully they continue to maintain the excellent food and service. I really liked the restaurant look of it felt like I was in Turkey. Food is same, nice Turkish food n service is good. Have now visited Gokyuzu 4 or 5 times and it never disappoints. The staff are all very well trained and the food is excellent. We always have the mixed grill/meze, everyone always gets stuck in. A real social place with a buzzing atmosphere. Always book at the weekend as it does get very busy. The title says it all, I have tried many Turkish restaurants but this is THE ONE! The location was fabulous, the atmosphere was fabulous and the food was delicious. we had booked in advance and when we got there realised how good of an idea that was... the place was heaving... the place is set in a mini golf ground with big dinosaur models and just very nicely lit. the seating was amazing so open and so bright. the food was just so flavourful and yummy. the restaurant staff were friendly and very accommodating. one in particular comes to mind HASSAN HUSSAIN (big H)... He was the most friendliest and made our experience funny and exciting. I will definitely being going back as everything on the menu was superb from the cold mezes to the hot mezes.... meats were tender and flavourful..... well done!!! I don't think there's anything bad that can be said about this place. It is satisfaction guaranteed at gokyuzu. Every time I visit one of these places (aka the kervan) I always get one of their famous platters. Their platter cater for 2-3 people 4-5 people and so on. It's highly recommended that you order one, you get so much great quality food for your money. They even give you complementary bread and salad, which no other restaurant does, well not to my knowledge anyway. What you'll have to bare in mind it that, due to these restaurants being so popular, they are extremely busy depending on what time of day you go. So there could be long delays with orders, but these guys do their very best to attend to everyone. Afternoons and early evenings are the best times to go, if you have no patience that is. So go and enjoy you'll be mad not to, I’d rate them 10 stars if could. Visited Gokyuzu with family. Absolutely best Turkish food in the town. Prices are reasonable too. It seemed very busy but the service is quick..
After working up an appetite playing golf next door we came in for a fabulous meal and all left completely full. Fantastic. Plenty of seating even if it looks busy. Would definitely recommend. Absolutely fantastic 100% one of the best restaurants I have eaten at...food so fresh and tasty. The platter was well worth every penny we had one for 2-3 people when there was 4 of us and it was ample. Only wish I had somewhere like this closer to home. I came here with my friend to breakfast during Ramadan. I was persuaded by the phrase 'Meat platters'. I was not disappointed. An odd location - off the A406 after the Leyton junction near the golf course. However, the restaurant have done very well in using their space well. A very large car park to host 100s of guests. The restaurant has a lovely modern feel with panoramic Windows. 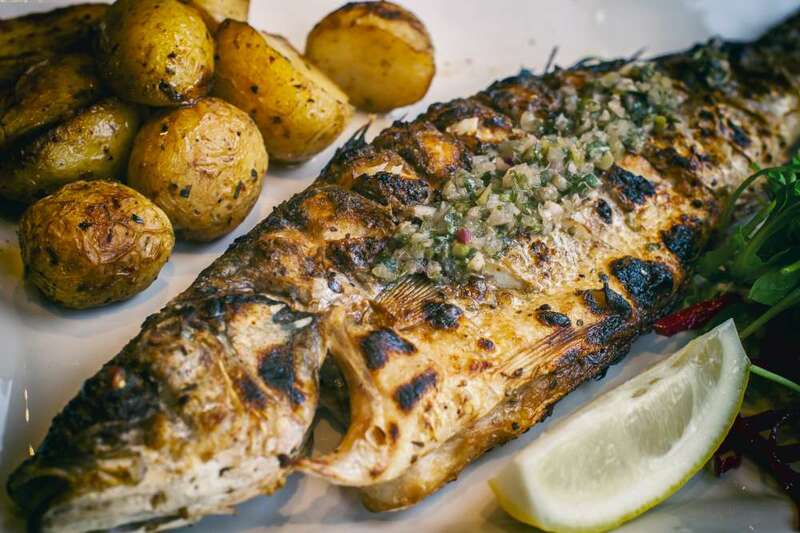 It takes you away from the busy hustle and bustle of the a406 to a culinary delight. The waiters were fantastic. 6/5 stars for service. They recognised immediately that we were fasting and had prepared everything. Food was efficient. Without even asking, a bowl of bread, a plate of salad and water was delivered to our table. The main menu has a huge variety of choice. We opted for the large platter. It really was a 'Turkish delight'. We were spoilt for choice with a variety of meat and rice. I highly recommend one of the platters. The portion sizes were so large, we had to take the rest as a take out. We were even given complimentary Turkish teas. The price was satisfactory, £38 for two including drinks. A must try for any meat lover or a hungry hippo! We arrived at this amazing busy restaurant at 1930 last night. We were lucky as we had a reservation. This place seems so popular people were happy to queue for tables. The place was packed and there was 12 of us so I didn't hold out much hope on service. The waiters were "amazing" we all got drinks fairly quickly and then ordered the food. We ordered 3 large sharing platters with meze for the group. The food came quickly and the meat was of very good standard and cooked to perfection. I was stunned by how fantastic this place was both with outstanding food, service and price. I cannot recommend this place enough try it you will love it! To the management and team at Gokyuzu "THANK YOU FOR AN AMAZING NIGHT OUT"
We visited place for a late dinner! The place is lovely , huge place, there's also sitting outside, which would be lovely in sunny days. Parking is easy. The waiter who serve us is ever so nice, helpful and always with a smile, with good sense of humour, staff looks neat and the service is quick. We were seated and served swiftly! The food , gorgeous!! We came as family of 3 adults and the serving for the platter we ordered is more than enough, and I mean more! There’s a starter and salad that is served for free and at the end they gave tea for free again! What could you ask for? a must try restaurant!! Would definitely come back and recommend to my friends. Keep up the good work! I love this place! We were quickly seated by a very serious looking host so I was a little apprehensive at first, but it got better. Lovely waiters, fast food from the kitchen, very organised! The food was humongous and extremely tasty! 5 stars all the way! We will definitely be back! Tip*The small meze (full platter) is enough to feed an army! Extremely good value for money. There is a reason why Gokyuzu has received trip advisor awards and that is just simply because they have got dinning down to perfection. Food 10/10 - Everything was tasty, fresh and full of flavour Service 10/10 - Staff polite, attentive, proactive, professional Venue 10/10 - Modern, clean, good location with some Jurassic views Atmosphere - 10/10 We came here on a busy Friday evening no booking and was politely asked to wait two minutes whilst a table becomes available. Didn't even get a chance to sit down before we was shown to a clean freshly set table. We was given ample time before a member of staff asked if we needed any help with the menu, could they give recommendations etc. But we already knew what we was ordering and was relaxing enjoying the atmosphere. The waiter then complimented my partner’s purse, which I thought was strange but felt quite genuine. Whilst talking to the waiter fresh hot Turkish bread and yoghurt dip was brought to the table. 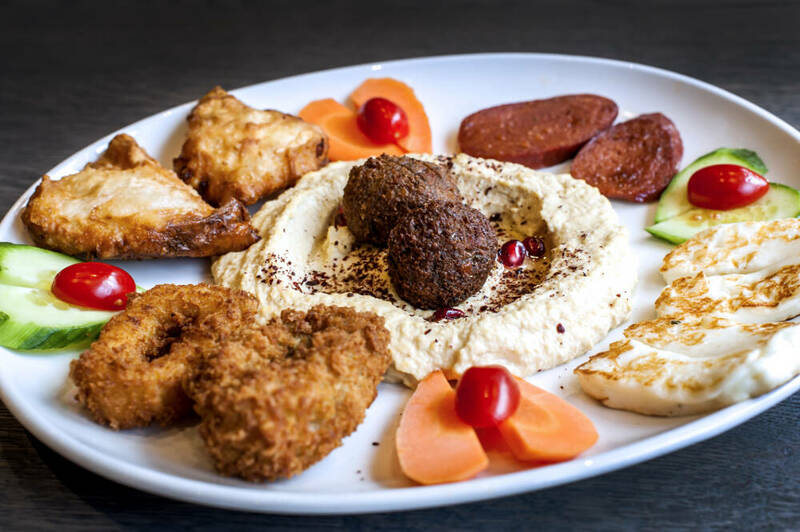 We ordered mixed meze starters and mix grill main special offer for £32. They recommend this feeds 2-3 people. I was and partner very, very hungry and could not fit another mouthful and we still had ample to take home with us. Being my birthday and given the food was so good I thought I had to try the dessert. 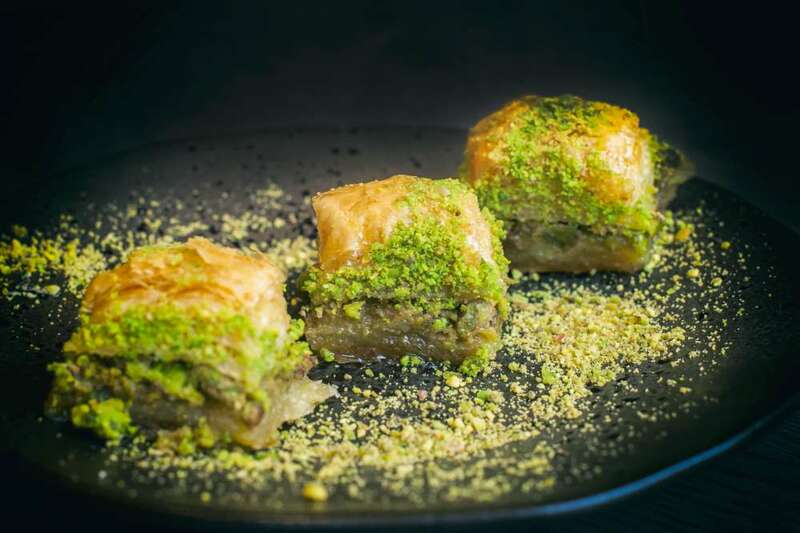 Some of the best baklava I have had this side of Europe. I had to be cheeky and ask the waiter were they got it from because it beats the taste and freshness from Turkish food centres and yasir halim. Mix meze starter Mix grill main Baklava and ice cream desert Coke 4* Turkish tea Big bottle of still water £49 - what a bargain!! Been at Gokyuzu restaurant a few times with my friends now with my husband and we all absolutely loved it every time.... Excellent fresh tasty food, attentive courteous service, good lively atmosphere and very reasonable. This is easily the best Turkish restaurant for miles around!!! I use this place a lot as convenient for travel and mainly parking but most important of all is the great personal service and quality of the food ! Would highly recommend ! We visited this restaurant on New Year’s Eve as a group of 13. The restaurant was very busy and we had not pre booked a table. However, the manager was very accommodating and quickly made up a table for all of us. The restaurant itself is decorated to a very modern and high standard. Tables are nicely spaced out and there were plenty of waiting staff. The atmosphere was great!! Food was amazing!!! Everybody in our group ordered different from the main menu and everything was perfect. We had no issues with any order and all the food was freshly prepared, hot and delicious. This place is great for small groups, or larger groups like ours. It is quite a large restaurant, however, you still get that intimate feeling and you don't feel like it is overcrowded. We will definitely return and would highly recommend this place to everyone. Came here on a rainy Saturday night. Located off the A406 Southend Road just before the Costco turn-off, I have been meaning to come here for a while! We booked in advance, as I know this place gets real busy. When we arrived, it was bustling with customers and we got seated within 5 mins of arriving. We were served fairly quickly and opted for one of the platters that Gokyuzu offer. 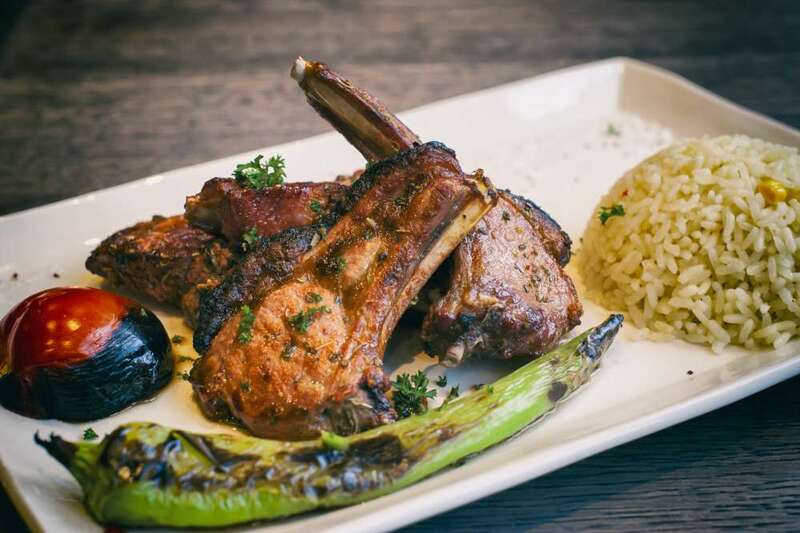 It consisted of Lamb & Chicken Shish, Lamb Adana (minced), Chicken Wings, Lamb Doner, Lamb Ribs and Lamb Chops as well as, some Pide (Turkish Bread), Rice and Bulgur. All meat was tender, flavourful and well cooked. Went down a treat with my party and we were seated well as I had my 3 month old son with us in a rather large pushchair! This new unit of theirs (they have a restaurant on Green Lanes Harringay and Wood Green High Street (with Kervan) as well, is huge and has room for I’d say 200+ odd covers at a time in 3 tiered seating/service areas. That being said, their parking arrangements are a tad half baked. With some boxed off tarmac'd area near the unit, which is good. Right through to the rough uneven, potholed area as you drive in through the access road off the Southend Road, where many selfish customers will park their cars in a way that prevents more cars fitting in. My feedback to the proprietors is they have a great place to compete with Capital, Antipliler and Kervan, but please improve the parking layout that could maximise table turnover and lessen the manoeuvres that drivers have to make to park up! This restaurant is very busy so try to book before you get there. The food is just amazing. The taste is just undesirable. The best Turkish food l have ever tasted and I have eaten loads of Turkish food. Good fast services. Defo come again over and over. Reviewed 27 December 2015 via mobile Such a lovely place with great and fresh food! We ordered Meze as starter, was very good and fresh. For main we had lamb meat, very good grilled and fresh vegetables! I went to the Green Lanes branch of the restaurant in the summer and then noticed a new branch had been opened in Chingford. 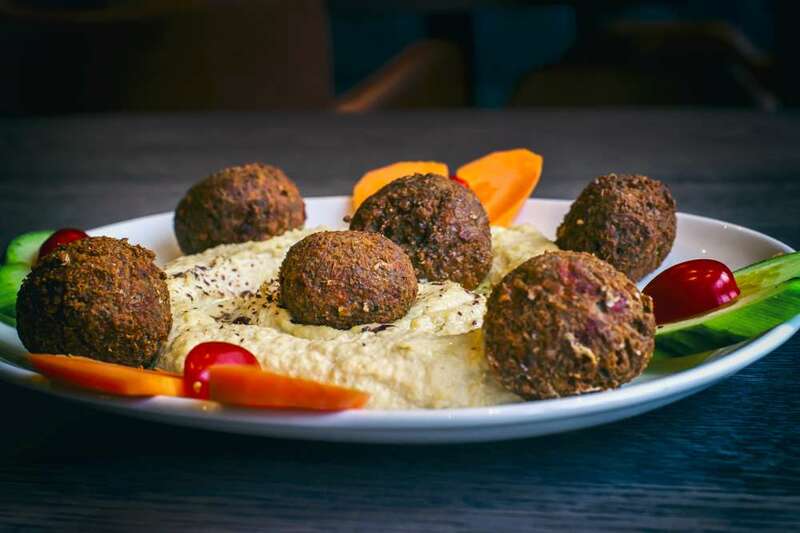 The food here is excellent and is served to the same standard as the excellent Green Lanes restaurant . Starters are large and all freshly made. The mixed grill was delicious . I recommend you go to this place hungry as the menu is extensive and everything looks good. As the restaurant has only recently opened, it looks like the car park needs a bit more work . We went on a rainy day so there were large puddles to navigate around . And As per the Green Lanes branch , this place is busy. I would still recommend booking a table if going at the weekend. In summary: food is excellent , service is good, ambience is good, location is convenient , prices are great, portions are excellent . This has got to be the best Turkish restaurant I have been to. The food is clean and tasty and the decor is very modern. The prices are cheap in my opinion foe what you get. Free parking and good service...what more do you need. The food is delicious and definitely fairly priced, the staff can be quite busy but that's just a testament to how popular the restaurant is! There is usually a long queue so get there early or reserve a table. It's worth it if you do wait as the food is amazing and the decor and atmosphere are both very good. All gokyuzu restaurants are good but the one next to the mini golf is the best by far! I visited this restaurant on 29.10.15 with 2 other friends around 8.30pm. We were greeted and seated straight away and served fresh hot bread with dips as soon as we sat down. The restaurant looked clean, fresh and inviting and we were seated quickly. The food is just as good as the branch in Haringey. The staff were friendly and the food was served quickly. Would definitely return and wouldn't hesitate to recommend.